Room 5 has been very busy this week. We had a group of 9 children come to visit us on Wednesday for their pre-school visits which was very exciting. Room 5 has some new faces! 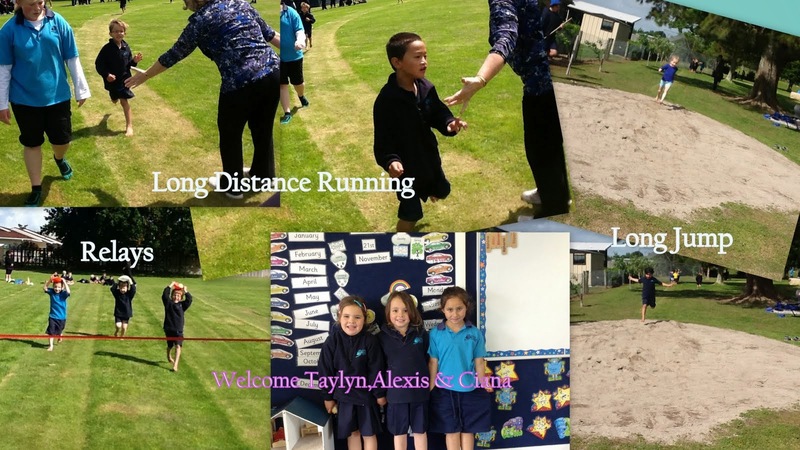 We have welcomed Taylyn Walker, Alexis Broekhals and Ciana Allen to our classroom. On Thursday the junior syndicate participated in the Junior Fun Athletics Day. Room 5 students took part in the long jump, relay races, balls skills, parachute activities and high jump - what a busy and fun day! Thanks to the parents that came and watched us all, it was great to see you there.